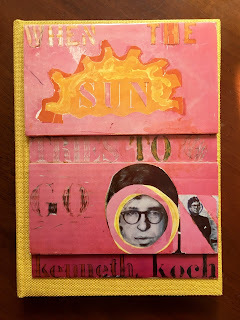 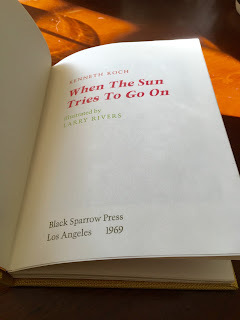 This is a piece that has been on my want list for ages: Kenneth Koch's 1969 When The Sun Tries To Go On, illustrated by Larry Rivers, in a remarkable edition of 200 copies with a kind artwork multiple for its cover. 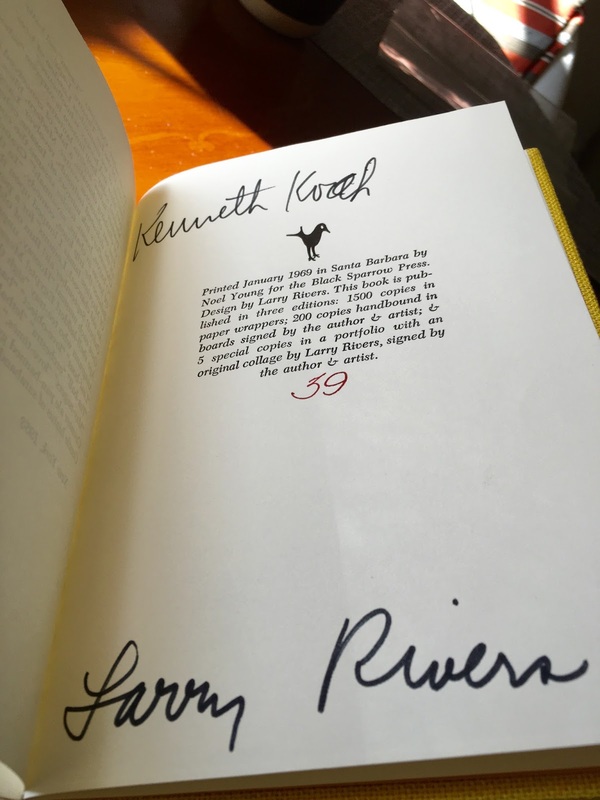 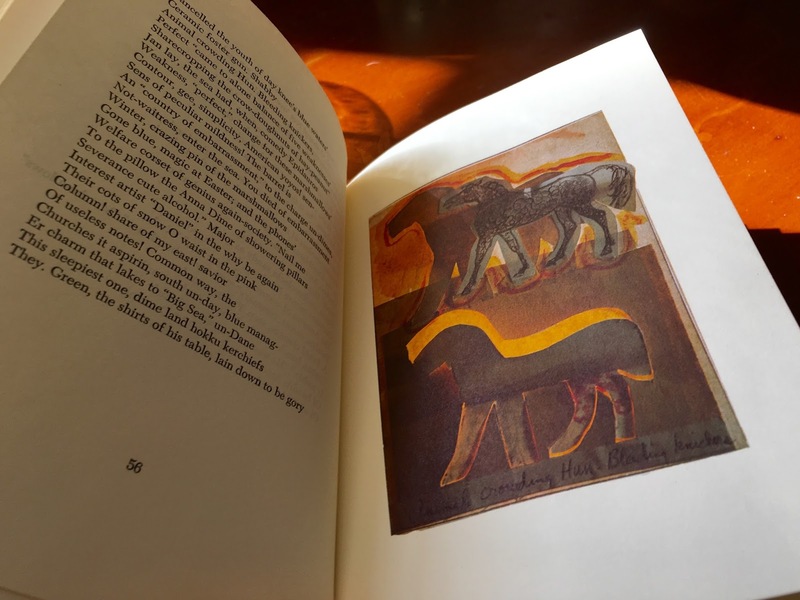 If you take a look at the below colophon, you'll see that there weren't any lettered copies of the book, but instead only 5 copies that came with a portfolio with an original collage by Larry Rivers. 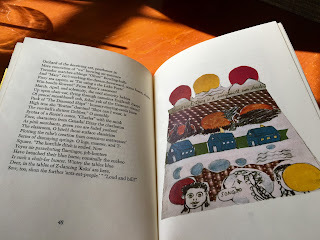 Amazing to imagine those! We're going to get a perspex slipcase made for this sometime soon -- it's certainly a book to display face out.